The B ring presents a remarkable difference in brightness between the near and far arms (bottom and top of the image, respectively). The strong variation in brightness could be due to the presence of wake-like features in the B ring. This view looks toward the unilluminated side of the rings from about 5 degrees above the ringplane. Images taken using red, green and blue spectral filters were combined to create this natural color view. 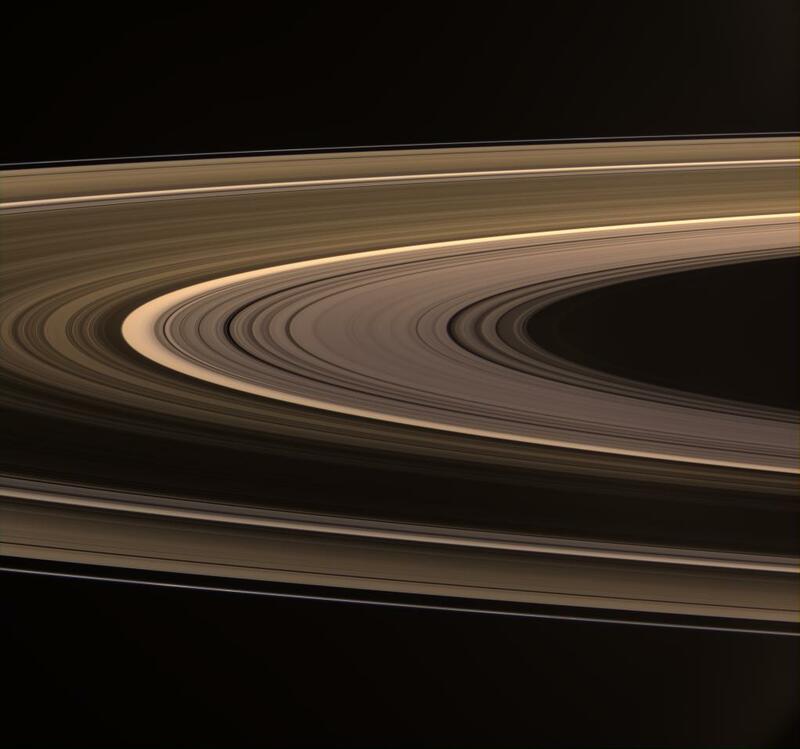 The images were acquired at a distance of approximately 574,000 kilometers (357,000 miles) from Saturn. At the center of the image, the Sun-ring-spacecraft, or phase, angle is 114 degrees, and the image scale is 34 kilometers (21 miles) per pixel in the radial, or outward from Saturn, direction.